You enjoy your fireplace or wood stove during cold and damp days. Did you know that chimney cleaning needs to done every year? Chimneys must be cleaned regularly so that no dirt or debris collect and create a fire hazard. To do chimney cleaning properly, you need the help of professional chimney cleaners. 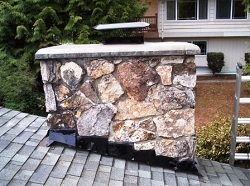 Place your trust in Professional Chimney Solutions Inc. for any chimney cleaning service for your Tukwila, WA area home. When not regularly cleaned a dangerous substance known as creosote builds up in your fireplace. Creosote is flammable and comes from particles in smoke that stick to the inside lining of your chimney. The build-up of soot and creosote prevents the flue from drawing smoke properly. We inspect the chimneys and make them clean so that there are no chances of chimney fires. Professional chimney cleaners not only clean the chimney but thoroughly inspect it as well. We prepare a detailed report regarding the condition of the chimney and where it may require repairs. This type of assessment is very helpful, so you know the chimney is in good condition and will not pose any safety hazards. Your search for the best chimney cleaner ends with us as we have a long list of customers pleased with our service and call us each year. We take care of our customers and notify them when chimney cleaning is due. We will schedule the cleaning when it is convenient for you. 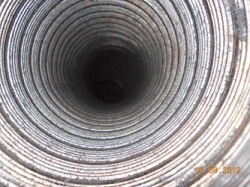 You must get a chimney inspection done by a professional chimney cleaning service that is reputable and experienced. Also, a chimney cleaning service must have the ability to provide any repairs that might be required to make the fireplace or the chimney risk-free. 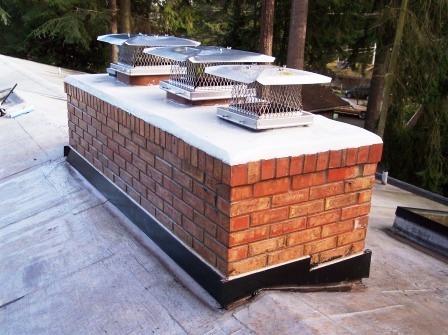 We are also you go to providers of chimney cap repair and chimney restoration. Give a call to Professional Chimney Solutions Inc. at (253) 448-3987 when you need any chimney cleaning service in the Tukwila area.